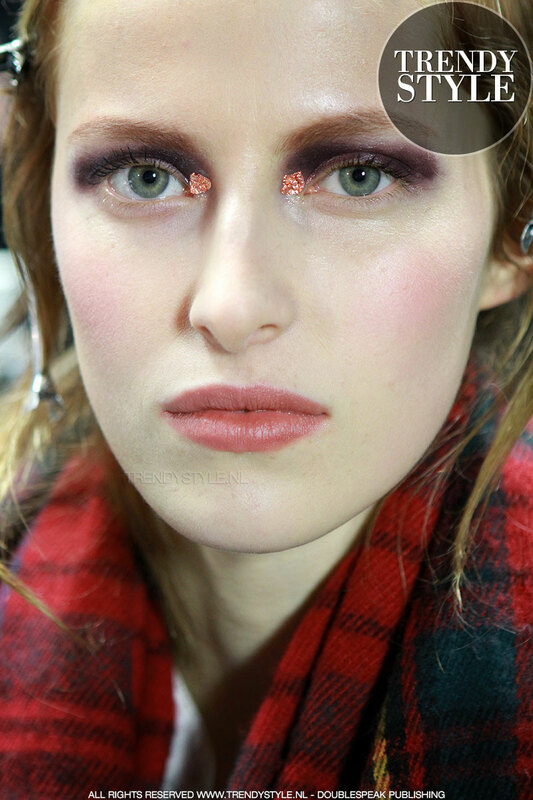 If your are looking for eye make-up with a certain WOW effect this might be your look! Check out the video interview with international make-up artist Lottie and/or read the interview. Lottie, can you explain us the make-up look for this show? We are doing a very groomed eyebrow this season. Because we are doing such a very heavy eye we want an eyebrow that can really carry the look. I think color is also in style. What colors do you expect for Fall Winter 2016 2017? A lot of purple, a lot blue. I think those are the stand-out colors for this season so far. What did you use for the skin? Madina light foundation. It has a very nice glow.